Adding texture, hold, and shine, this leave-in conditioning cream for curly hair makes curls bouncier and more defined. The curl cream gives a shot of instant hydration without sticky residue and provides color protection. To create curls with more volume, apply to damp hair and use a diffuser. 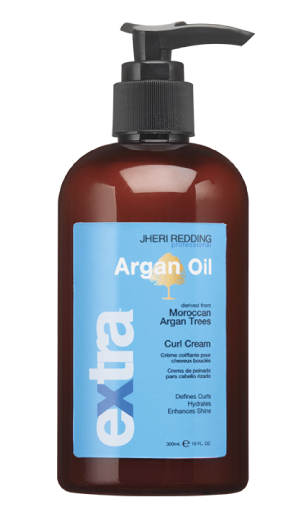 To give curls luminous vitality, turn to Jheri Redding® Argan Oil Curl Cream.